BBC Sport pundit Garth Crooks has praised Liverpool trio Andrew Robertson, Georginio Wijnaldum and Roberto Firmino for their performances against Bournemouth on Saturday. All three players starred as Jurgen Klopp’s side eased to a much-needed victory over the Cherries, and Crooks was seriously impressed with all of them as he delivered his own personal and detailed analysis of all of the trio. On Wijnaldum: “Sickness and diarrhoea can sweep through a club like wildfire. So imagine when one of your star players comes to training suffering from the symptoms. Panic ensues! Not so with Liverpool and Georginio Wijnaldum. The Netherlands international insisted he could play and produced an outstanding performance against a Bournemouth side outclassed from start to finish. For Firmino to be compared to two former Anfield greats in Suarez and Coutinho is a big compliment. They were both instrumental to Liverpool teams of old and, as Crooks says, made them tick. Firmino has that same quality. He is the one who dictates things up front, his energy and his technical brilliance inspire Salah and Mane to go about their business in an equally effervescent manner. Robertson, likewise, is on the end of a huge compliment from Crooks. 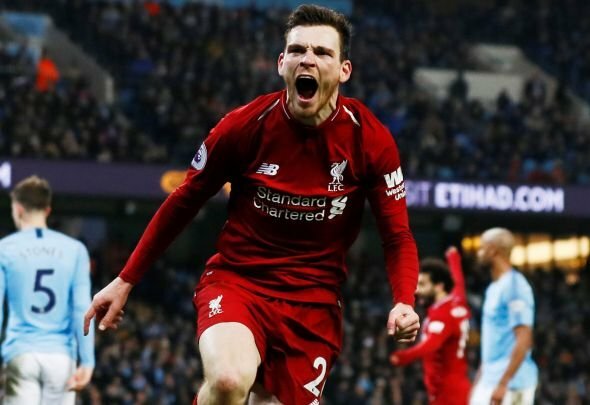 Cole is the standard-bearer for left back excellence in the Premier League era, so to be mentioned in the same sentence as him is quite something for Robertson. It’s deserved, though, because he’s been excellent ever since he came to Liverpool and was again on Saturday. As for Wijnaldum, he was absolutely superb against Bournemouth. He ran the show from start to finish and capped it all off with one of the best finishes you’re ever likely to see.